Food banks need donations. It’s not news, but an ever-pressing fact. In a Nov. 24 press release, Dany Hétu, executive director at Moisson Rive-Sud, said demand for food aid in Montreal has continued to rise, but donations haven’t kept pace. is year’s Hunger Count, an annual survey conducted of food banks across the country, revealed the number of requests per month for emergency food assistance in the greater Montreal region has risen by nearly 75,000. But while many food banks may be struggling, others are thriving, transforming themselves into more than just food banks. 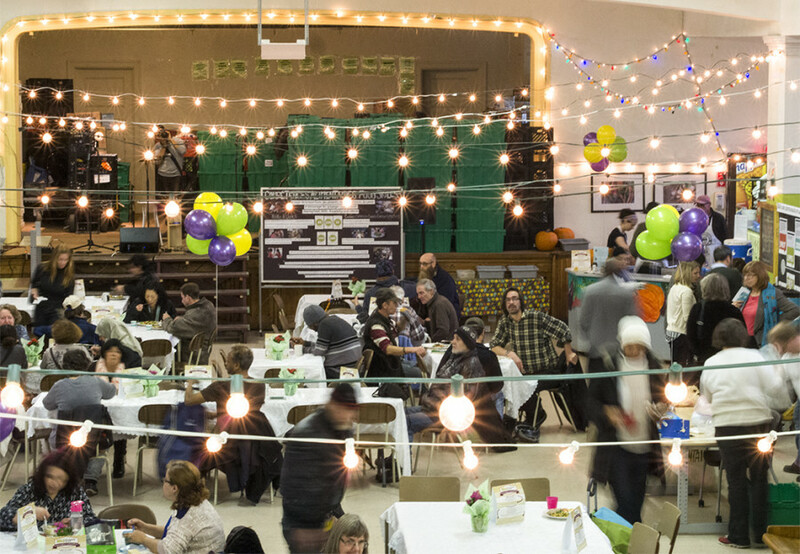 The NDG Food Depot, now located on Marlowe Ave., has undergone such a transformation over the last five years. Lisa Perrault, volunteers coordinator at Sun Youth, an NGO on St. Urbain St., said the organization has used a multi-pronged approach to combat poverty for quite some time. Sun Youth doesn’t solely distribute food, she said, but still donations have diminished this year. “Some of the companies are not donating to us this year. They would prefer to donate to their local organizations,” she said. At the NDG Food Depot, Rotman noted that demand for food baskets has risen—especially over the past few years—but so has the amount of donations. “Maybe [the depot’s transformation is] also helping to give people other access points to food so that demand will stay stable for the basket,” he said. Across the city, however, some food banks aren’t faring as well as Sun Youth or the NDG Food Depot. According to Daneau, the broader issue plaguing the city is the “changing face of hunger,” which is a trend that has taken place over the last few years. “We see from the stats that more and more students—with grants and loans—are going to food banks,” he said. “ at segment of the clientele is rising year after year. But issues surrounding food security—knowing where your next meal will come from—aren’t limited to Montreal. Last month, a new study showed one quarter of Canadians worried about how to pay for their groceries, with fluctuating food prices forcing them to reconsider their eating habits. Valerie Tarasuk, a nutrition professor at the University of Toronto, told the CBC last month that the government needs to act to solve food insecurity across Canada. Tarasuk suggested a basic income policy, where all citizens receive an unconditional sum of money paid by the government regardless of their employment. Recently, Ontario launched a basic income pilot to gauge whether the policy would reduce poverty and improve health in the province. Quebec also considered the idea in October. Last February, Premier Philippe Couillard said he was seriously considering a universal income program. Food insecurity is the direct result of poverty, said Kim Fox, programming director at the NDG. Her charity is striving to do more than just the bare minimum to tackle it. The depot operates more than 30 gardens in the neighbourhood and harvests more than 1.5 tonnes of organic fruit and vegetables each year. It’s part of the depot’s new approach, said Rotman, where the organization is pushing to provide programs that address the reason people come in for emergency food baskets. As part of her role, Fox ensures each of the depot’s programs meet those overarching objectives. “There needs to be less of the top-down and more of the bubbling-up,” she said.